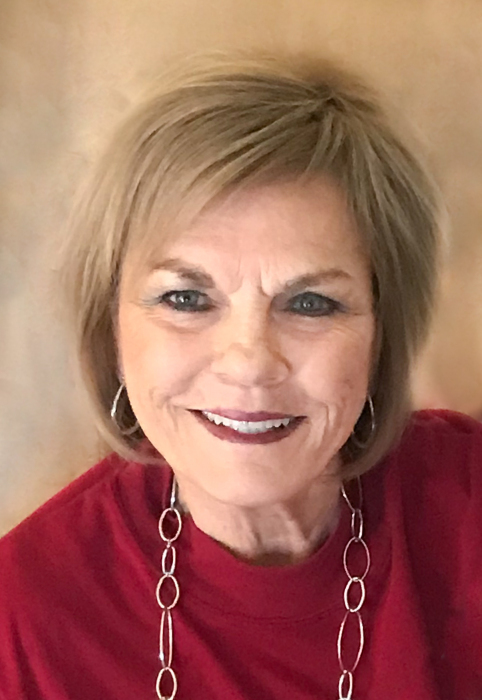 Vickie Lynn (Boman) Osborne passed from this life Monday, January 28, 2019 at Salina Regional Health Center with her family by her side at the age of 71 years. Vickie was born on January 11, 1948 in Belleville, Kansas to Wallace and Vida (Elliott) Boman. She graduated from Republic High School in 1966, where she met her future husband Paul during their freshman year. They were married on June 29, 1969, and would have celebrated their 50th wedding anniversary this year. They raised two sons, Chad and Bret, at their home in Formoso, Kansas. Vickie enjoyed her career as a cosmetologist for nearly 30 years, and after selling “Vickie’s House of Style” in 1994, she continued to share her beauty talents with close friends and family. She was also very fond of working in her yard, tending to her flowers and plants, helping them thrive despite the hot Kansas summers. Her homemaking skills were constantly on display, as she meticulously cared for and maintained her family’s home. She was always on the move, and enjoyed traveling to Manhattan to attend countless K-State athletic events with her family over the years. Vickie’s true passion, however, was her family. She was an absolutely devoted mother and wife, taking great care of her three boys. When she was blessed with her first grandchild, a whole new adventure started. She simply adored and cherished her time with her two granddaughters and grandson, spoiling them every chance she got. Her time spent caring for all three of them while they were infants was one of the greatest joys she could have. To say that she was a wonderful Grandma would be an incredible understatement. Vickie was preceded in death by her parents, Wallace and Vida Boman. She will be forever remembered by her husband Paul Osborne, Formoso, KS; her sons, Chad (Lindsay) Osborne, Wamego, KS and Bret (Kimberly) Osborne, Derby, KS; three grandchildren Bellamy, Cambrie and Brayden; siblings Barbara Hurley and friend Leon, Hays, KS, Nancy (Larry) Larson, Junction City, KS, Wallace “Sonny” (Joyce) Boman, Topeka, KS, Pamela (Ron) Schmit, Wichita, KS, David (Carol) Boman, Columbus, NE, Jan (Tim) Davis, Belleville, KS, and Sheila (Leo) Blanding, Courtland, KS; many nieces, nephews, other relatives and a great many good friends. Memorial services will be held 2:00 P.M. Saturday, February 2, 2019 at the United Methodist Church, Republic, Kansas with Pastors Lance Rundus and Wade Moss officiating. Direct cremation was chosen and they will have a private inurnment service. Memorials may be made to the Solomon Valley Hospice or the Republic Methodist Church. There will be no visitation. These arrangements were under the direction of Tibbetts-Fischer Funeral Home, Belleville, Kansas.